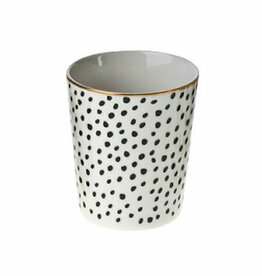 White ceramic cup with black dots and gold rim. Can be used for coffee or tea. 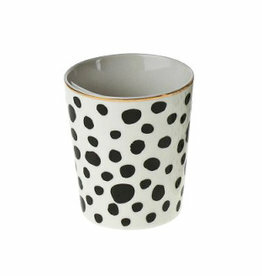 Modern cup with black dots and gold rim. Shop more design tableware and trendy home decoration in our online store. We ship to Europe, US and Canada. 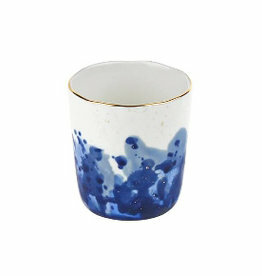 White cup with blue ink decor. Shop more modern design tableware and home decoration in our online store. We ship to Europe, US and Canada. White bowl with blue ink decor. 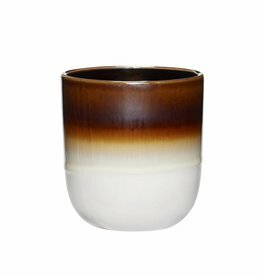 Shop more modern design tableware and home decoration in our online store. We ship to Europe, US and Canada. 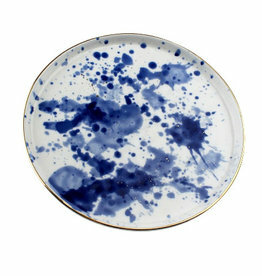 White dessert plate with blue ink decor. Shop more modern design tableware and home decoration in our online store. We ship to Europe, US and Canada. 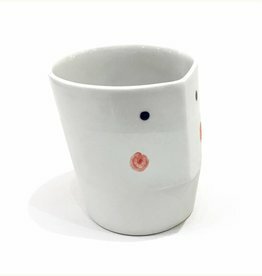 White porcelain cup "Face Cup" with a painted face. 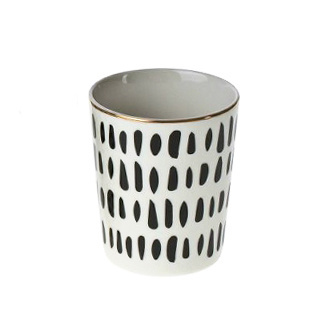 Shop more cups or other modern design gifts in our online store. Hand made in Holland. 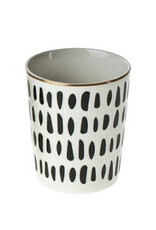 Modern coffee or tea cup in white and brown. Shop more modern design tableware from Broste or Hübsch in our online store.